Readers will recall that we shared a news and a video about a lion opening the door of a car when one family was enjoying a safari trip. There are few animals that are very observant and can learn things from their masters or environment. 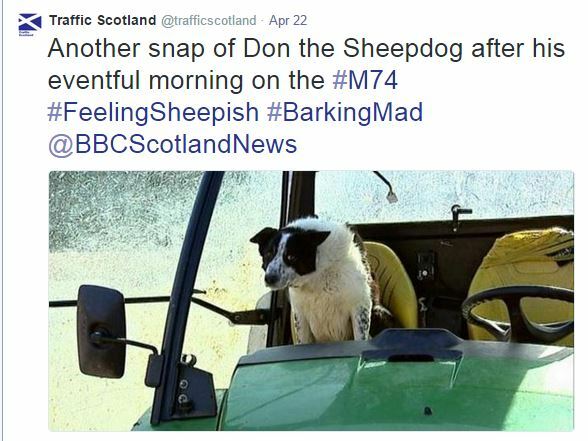 But now, a very peculiar event has happened on M74 motorway in Scotland when a pet dog took control of a tractor and drove it on to a busy motorway before crashing the tractor and making an escape. 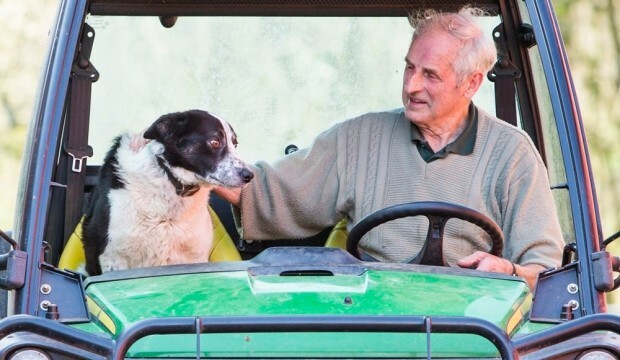 The dog’s owner is 77 year old Tom Hamilton who was checking on his sheep when the tractor was parked near by with engine running and the safety brake was not engaged. Don, a 4 year old pet dog jumped into the tractor and took control and started moving the tractor. The tractor broke a safety fence and came on the fast moving motorway and then crushed into a barrier. Luckily, no one was hurt but there was a massive delay on the motorway. 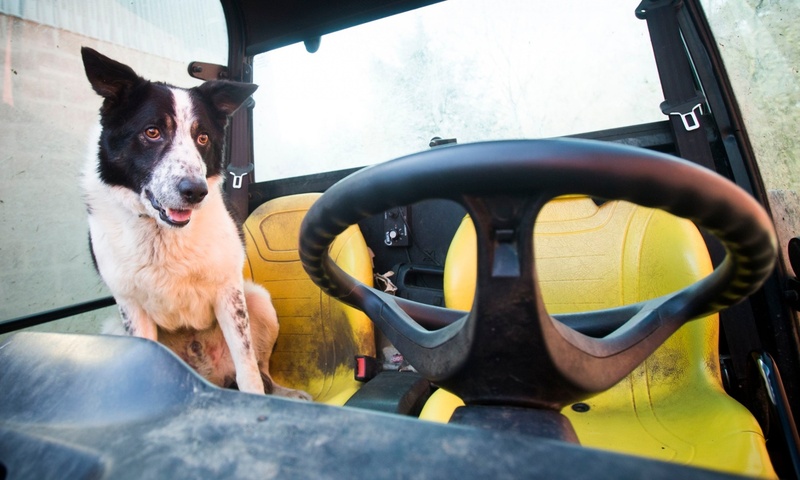 Don always accompanies his owner and it looks like over time he learnt about some of the basics of the tractor. So readers, from now on, be careful and never leave your cars with keys in ignition. You never know your dog might be taking your car out for a spin; that too without a license. This is border collie the world’s most intelligent dog. I have seen its videos in which it can solve simple math questions like addition and multiplication by barking :).